Air North Charter and Training Ltd., operating as Air North, Yukon's Airline, is a Canadian airline based in Whitehorse, Yukon. 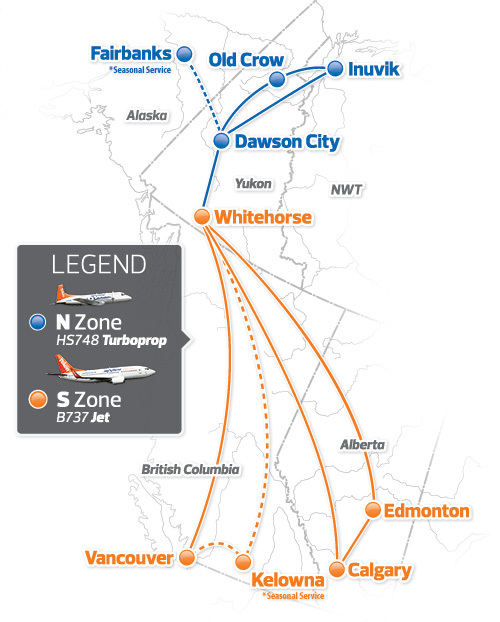 It operates scheduled passenger and cargo flights throughout Yukon, as well as between Yukon and the Northwest Territories, Alaska, British Columbia, Alberta, and Ontario. The airline also operates charter flights throughout Canada and Alaska. The airline also provides ground handling services and fuel services to other airlines throughout the Yukon, and it also provides ground handling services at Vancouver International Airport and Edmonton International Airport. Its main base is Erik Nielsen Whitehorse International Airport. Air North is also a sponsor of many festivals in Yukon, and BC, a notable example would be the Atlin Arts & Music Festival, in which Air North donates $10,000 each year.